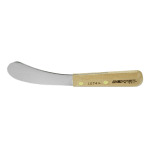 The Dexter 16741/2 fish knife has a 41⁄2-inch blade and 41⁄2-inch handle. There is a ground, honed edge and rounded point on the knife. 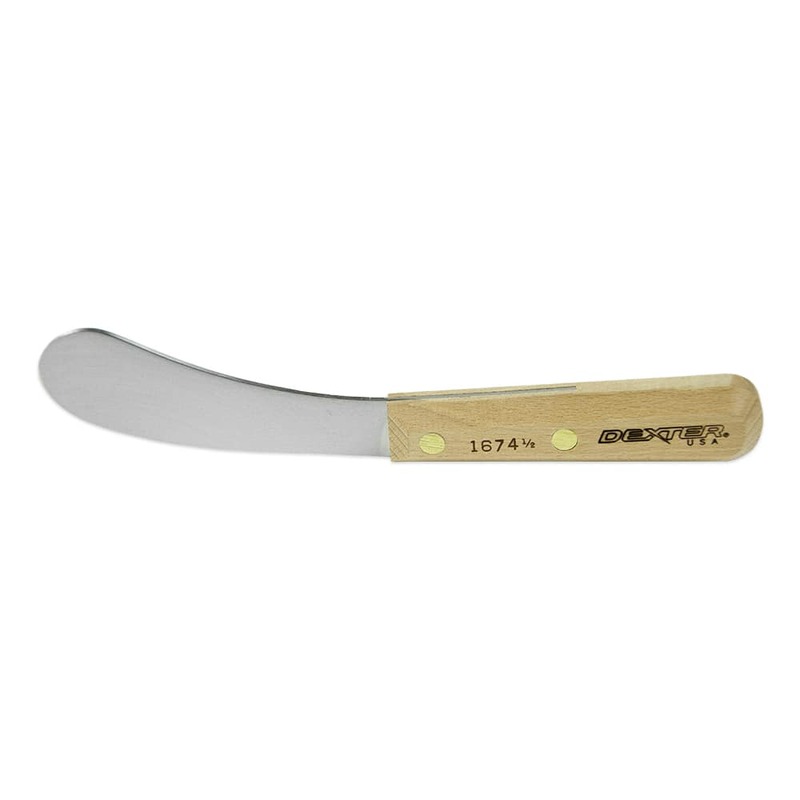 The blade is made of high-carbon steel, making it durable and corrosion resistant. A beech handle gives the Dexter 16741/2 fish knife a traditional look and is attached to the blade with brass compression rivets. For a tight handle fit, the brass compression rivets swell and shrink with the wood. "My wife and friends used this knife for filleting blue hills. My wife didn't care for it, but 4 of our friends are using it and liked it." "Cuts well and easy to handle "
"I have been a commercial fisherman since 1973 and many times have had to dress out as much as a ton of fish after a good 12 hour day on the water..."
I would purchase this knife, or any other items needed. "I have been a commercial fisherman since 1973 and many times have had to dress out as much as a ton of fish after a good 12 hour day on the water. This is the only knife to use. Stays sharp, sharpens fast, round point cleans the bloodline, slides under the ribs, if you are skinning the fish (or a deer) it rolls right between skin and flesh and leaves no wastage. Looks wierd to the uninitated, but believe me, it's the one to use." "When cleaning lake mich. salmon it cuts the fish with ease. Best knife i ever used." "Best knife for Filleting fish." "cleaning fish , great for cutting heads off saves your boning knife."